The Hellenic Air Force (HAF; Greek: Πολεμική Αεροπορία, Polemikí Aeroporía, literally "War Aviation") is the air force of Greece. The mission of the Hellenic Air Force is to guard and protect Greek airspace, provide air assistance and support to the Hellenic Army and the Hellenic Navy, as well as the provision of humanitarian aid in Greece and around the world. The Hellenic Air Force includes approximately 33,000 active troops, of whom 11,750 are career officers, 14,000 are professional conscripts (ΕΠ.ΟΠ. ), 7,250 are volunteer conscripts and 1,100 are women. During the period of monarchy between 1935–1973 the force was known as the Royal Hellenic Air Force (RHAF) (Greek: Ἑλληνικὴ Βασιλικὴ Ἀεροπορία, Ellinikí Vasilikí Aeroporía). The motto of the Hellenic Air Force is the ancient Greek phrase Αἰὲν Ὑψικρατεῖν (Aièn Hypsikrateîn), "Always Dominate the Heights"), and the HAF ensign represents a flying eagle in front of the Hellenic Air Force roundel. The Hellenic Air Force is one of the three branches of the Hellenic Armed Forces. In 1911, the Greek Government appointed French specialists to form the Hellenic Aviation Service. Six Greek officers were sent to France for training, while the first four "Farman" type aircraft were ordered.All of the six graduated from the Farman school in Étampes near Paris, but only four served subsequently in aviation. The first civilian Greek aviator who was given military rank was Emmanuel Argyropoulos, who flew in a Nieuport IV.G. "Alkyon" aircraft, on February 8, 1912. The first military flight was made on May 13, 1912 by Lieutenant Dimitrios Kamberos. In June, Kamberos flew with the "Daedalus", a Farman Aviation Works aircraft that had been converted into a seaplane, setting a new world average speed record at 110 km/h (68 mph) and the foundations of Naval Aviation. During September of the same year, the Greek Army fielded its first squadron, the "Aviators Company" (Λόχος Αεροπόρων). On October 5, 1912, Kamberos flew the first combat mission, a reconnaissance flight over Thessaly.This was the first day of the Balkan wars, and during the same day a similar mission was flown by German mercenaries in Ottoman service in the Thrace front against the Bulgarians.The Greek and the Ottoman mission flown during the same day are the first military aviation combat missions in a conventional war.As a matter of fact all Balkan countries used military aircraft and foreign mercenaries during the Balkan Wars. January 24, 1913 saw the first naval co-operation war mission worldwide, which took place above the Dardanelles. Aided by the destroyer Velos, first Lieutenant Michael Moutoussis and Ensign Aristeidis Moraitinis flew the Maurice Farman hydroplane and drew up a diagram of the positions of the Turkish fleet, against which they dropped four bombs. This was not the first air-to-surface bombing in military history as there was a precedent in the Turkish Italian war of 1911, but the first recorded attack against ships from the air. Initially, the Hellenic Army and the Royal Hellenic Navy operated separate Army Aviation and Naval Aviation units. During the Balkan Wars, various French Henry and Maurice Farman aircraft types were in use. 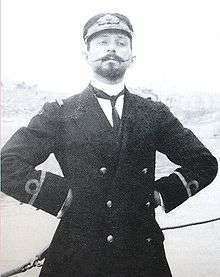 Naval Aviation was officially founded in 1914 by the then CinC of the Hellenic Navy, British Admiral Mark Kerr. 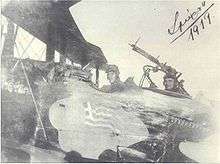 Greek aviation units participated in World War I and the Asia Minor Campaign, equipped by the Allies with a variety of French and British designs. In 1930, the Aviation Ministry was founded, establishing the Air Force as the third branch of the Armed Forces. The Hellenic Army Air Service and Hellenic Naval Air Service were amalgamated into a single service, the Hellenic Air Force. 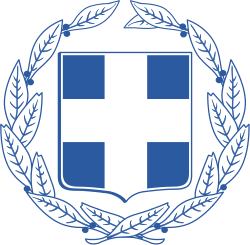 In 1931 the Hellenic Air Force Academy, the Scholi Ikaron (Σχολή Ικάρων), was founded. In 1939, an order for 24 Marcel Bloch MB.151 fighter aircraft was placed, but only 9 of the aircraft reached Greece, since the outbreak of World War II prevented the French from completing the order. The aircraft served in the 24th Pursuit Squadron (MD – Moira Dioxis) of the then Hellenic Royal Air Force. During the Second World War, although being severely outnumbered, counting only 79 aircraft against the 380 fighters and bombers available to the Italian Regia Aeronautica, RHAF managed to successfully resist the Italian invasion in 1940. On November 2, 1940, a Breguet 19 intercepted the 3 Alpine Division Julia while it was penetrating Pindos mountain range and moving on to occupy Metsovo. At the same day, Second Lieutenant Marinos Mitralexis, being out of ammunition, aimed the nose of his PZL P.24 (his aircraft imaged below from the paragraph title in mobile version) right into an enemy Cant Z1007bis tail, smashing the rudder and sending the bomber out of control. However, after 65 days of war, the RHAF had lost 31 officers killed and seven wounded, plus four NCOs killed and five wounded. Meanwhile, the number of combat aircraft had dropped to 28 fighters and seven battleworthy bombers. Still, on March 1941 the Italian invasion was confronted successfully. During the Greco-Italian War the Hellenic Air Force shot down 64 enemy aircraft (confirmed) and claimed another 24. Actually, according to other sources, Italians lost 65 aircraft during the whole campaign, against Greeks and British, getting 495 more aircraft damaged. In April 1941 the German Wehrmacht invaded Greece to assist her Italian allies. The Luftwaffe destroyed almost the entire Hellenic Air Force; some aircraft managed to escape in the Middle East. The top ace of Hellenic Air Force was Andreas Antoniou with 5.5 victories. Five Avro Anson, one Dornier Do 22 and three Avro 626 escaped. Hellenic aviation was rebuilt under the Air Force Ministry based in Cairo. Three Hellenic squadrons were built, which were operating under the command of the British RAF. These squadrons were the 13th Light Bombing Squadron, with Avro Ansons, Bristol Blenheims and Martin Baltimores, and the 335 and 336 Fighting Squadrons, with Hawker Hurricane I and IIs and Spitfire V types. The Hellenic Squadrons in the Middle East took over a variety of missions, such as convoy patrols, antisubmarine search, offensive patrols, reconnaissance, attacks and interceptions of enemy aircraft. In summer 1943 the Greek Squadrons participated in the attack against the German Wehrmacht on the island of Crete. From May to November 1944 the Greek squadrons continued in Italy. Greek pilots operated with great success. Two of those pilots were Pilot Officer G. Tsotsos and Master Sergeant D. Soufrillas flying Spitfires credited with shooting down German Junkers 88 bombers. Seventy men were lost. During World War II Greek pilots who were flying with the RAF achieved many victories. Rhodesian-born Wing Commander John Agorastos Plagis shot down 16 enemy aircraft over Malta and Western Europe. Flying Lieutenant Vasilios Michael Vassiliadis was credited with 11.5 enemy aircraft over Western Europe before he was killed in action on March 15, 1945 over Germany. Steve Pisanos, an immigrant to USA in 1938, joined an Eagle Squadron of American volunteers in the RAF and fought over Western Europe. He later joined the USAF and took US citizenship to continue fighting with the same squadron, now part of the USAF 4th FG. He achieved 10 victories with USAF by 1944. After Greece's liberation in 1944, RHAF returned home and subsequently played a decisive role in the Greek Civil War, which lasted until 1949, re-equipped with Supermarine Spitfire Mk IX, Spitfire Mk XVI fighters and Curtiss SB2C Helldiver bombers. After the end of the Greek Civil War in November 1950, Greece sent seven Douglas C-47 Dakota transport aircraft of the 13th Transport Aircraft Squadron to South Korea to assist the United Nations. The Greek aircraft operated in Korea until May 1955. Greek pilots flew thousands of war missions, including air evacuations, personnel transport, intelligence gathering and supply flights. In 1952 Greece was admitted to NATO and the Air Force was rebuilt and organized according to NATO standards, with US assistance. New aircraft, including jets, were introduced. The first jet fighter interceptor design to be flown by the Hellenic Air Force was the F-84G Thunderjet,from which the first Hellenic Acro-Team was created (337 SQ). Later was replaced by Canadair Sabre 2. About 100 examples were supplied during 1954 and 1955 after upgrading in the United Kingdom following service with the Royal Canadian Air Force. Lockheed T-33s were delivered to training units and some RT-33's were used for reconnaissance missions. The Republic F-84F first flew with the Hellenic Air Force in 1955. The Thunderstreak was developed to overcome the limitations of the Thunderjet's straight flying surfaces. The RF-84F was the reconnaissance version of the F-84 F Thunderstreak. This aircraft remained operational with the 348 Tactical Reconnaissance Squadron of the Hellenic Air Force from 1956 to March 29, 1991. In the late 1960s, the RHAF acquired new jet aircraft. These included the Lockheed F-104G Starfighter, the Convair F-102 Delta Dagger (in service 1969–1975) and the Northrop F-5 Freedom Fighter. The F-104 and F-5 served well for almost 20 years. In the mid-1970s the Hellenic Air Force was further modernized with deliveries of the Dassault Mirage F1CG fleet, Vought A-7H/TA-7H Corsair II and the first batch of McDonnell-Douglas F-4E Phantom IIs, upgraded versions of which still serve today. Also in 1993, the United States Air Force delivered 62 Vought A-7E/TA-7C Corsair IIs, increasing the air-to-ground capability of the HAF. Some of the A-7s were still in service as of 2011 with the Hellenic Air Force, pending deliveries of 4.5 generation fighters. Until the late 1980s the Air Force deployed Nike-Hercules Missiles armed with U.S. nuclear warheads. As a result of Greco-Turkish tensions around the 1974 Turkish invasion in Cyprus, the U.S. removed its nuclear weapons from Greek and Turkish alert units to storage. Greece saw this as another pro-Turkish move by NATO and withdrew its forces from NATO’s military command structure from 1974 to 1980. In March 1985 the Greek government announced the purchase of 34 F-16C Block 30 and 6 F-16D Block 30 in a program called Peace Xenia I. In the same month Greece ordered 36 single-seat Mirage 2000EG and 4 two-seat Mirage 2000BG, as part of the "Talos" modernization program. In 1989 the first fourth-generation fighters were introduced, marking the beginning of a new era: the first Mirage 2000 EG/BG aircraft were delivered to the 114 Combat Wing in Tanagra airforce base and equipped the 331 and 332 squadrons. In January 1989 the first F-16C/D Block 30 arrived in 111 combat wing in Nea Anchialos airforce base and were allocated to the 330 "Thunder" and 346 "Jason" interceptor squadrons in Larissa airforce base. In 1993 Peace Xenia II program began. 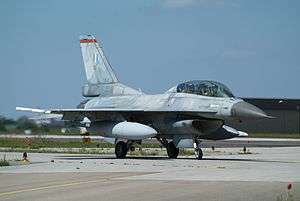 Greece ordered 32 F-16C and 8 F-16s, Block 50 version. The first Block 50 was delivered on July 25, 1997. These aircraft, equipped with the LANTIRN navigation and targeting pod as well as AIM-120 AMRAAM and AGM-88 HARM missiles, were allocated to the 341 "Aces" and 347 "Perseus" squadrons in Nea Anchialos airforce base. The basic mission of 341 "Aces" squadron is Suppression of Enemy Air Defenses (SEAD). The role of 347 "Perseus" squadron is air-to-ground missions. Greece participated in NATO "nuclear weapons sharing" until 2001, using A-7 Corsair IIs to deploy tactical B61 nuclear warheads from Araxos Air Base. Greece then strategically decided to remove all nuclear weapons under storage in Greece and did not purchase any more aircraft with nuclear mounting capabilities. In 1998 Greece decided, in cooperation with the German Aerospace Industry (DASA) and Hellenic Aerospace Industry(EAB), to upgrade 39 F-4E Phantom IIs. After many problems, the first aircraft were delivered in Andravida Air Base, in December 2002. This aircraft, which is called "Princess of Andravida" (s/n 72-01523), is unique because it doesn't have the M61 Vulcan gun installed. The upgraded aircraft are equipped with a new radar AN/APQ-65 YG similar to this of F/A-18 Hornet, mission-control computer, Head Up Display, IFF Interrogator, Multi Function Displays and are capable of carrying a large variety of advanced air-to-air and air-to-ground missiles, including the AIM-120 AMRAAM (only the -B edition), the AIM-9M missile, the AFDS and all the family of the Paveway (I, II and III) laser-guided bombs. These aircraft are called F-4E Peace Icarus 2000 (PI2000) or F-4E Phantom II AUP (Avionics Upgrade Program) and are operating with the 338 Squadron "Ares" and 339 Squadron "Ajax based in Andravida Air Base in multi-role missions. Recently, according to 338 Squadron "Ares" crews, the F-4E Phantom II PI2000(AUP) has been certified for use of GBU-27 Paveway III laser-guided bombs, making the aircraft an excellent and modern weapon platform for precision strikes. Entering the 21st century, Greece decided to purchase a large number of fighter aircraft, to replace the non-upgraded F-4E Phantoms, a number of A-7 Corsairs, and the fleet of Mirage F1CGs. In the year 2000 Greece ordered 60 F-16C/D Block 52+ and 15 Mirage 2000-5Mk.2. The order for the F-16s was about 50 single-seat of the C version and 10 two-seat of the D version. Also, Greece decided to upgrade 10 of its existing Mirage 2000EGs to Mirage 2000-5Mk.2 standards. In September 2004, Greece started the Mirage 2000BG/EG fleet upgrade to the standard 2000-5 Mk2 and the project was undertaken by the French manufacturer Dassault Aviation and the EAB. Fifteen new aircraft were delivered. The Mirage 2000-5Mk.2 has a new more powerful radar, improved Air To Ground capabilities including the SCALP EG Cruise Missile, new self-protection system, new Inertial Navigation System(INS), a Glass Cockpit and an air-to-air refueling capability. In 2005, Greece was the first country worldwide to add the F-16 Block 52+ to its inventory. This advanced F-16 type is an improved version of the Block 50 featuring a more powerful radar, Conformal Fuel Tanks for bigger Ferry Range, advanced communications systems, upgraded engine, Joint Helmet Mounted Cueing System (JHMCS) and is capable of carrying more advanced weapons, including the IRIS-T Air To Air missile. Three squadrons are operating with this type of F-16s. These squadrons are the 337 Squadron "Ghost" in Larissa air base, 340 Squadron "Fox" and 343 Squadron "Star" in Souda air base. In 2005, the Greek government ordered 30 more F-16C/D, 20 single seat and 10 double seat. These aircraft are called F-16C/D Block 52+ Advanced, but in Hellenic Air Force are known as F-16 Block 52M (due to improved computing power for mission computer MMC). The differences between the normal Block 52+ and Block 52+ Advanced, are that the Advanced version has, LINK 16 Communications System, more powerful Mission Control Computer, an extra Multi Function Display with a movable map navigation, advanced Debriefing System and the capability of carrying the RECCE Reconnaissance Pod. The first aircraft were delivered to Hellenic Air Force in May 2009 and they are flying with the 335 Squadron "Tiger" in Araxos air base. Past budget cuts forced the HAF to ground many of its F-16 fighters because of a lack of spare parts and maintenance. Recently Greece requested the U.S. Government to provide spare parts in support of its F-16, F/RF-4E, C-130H/B, C-27J, T-6A/C, and other aircraft with systems/subsystems of U.S. origin. The estimated cost of this help is $160 million. Current and past Budget cuts will likely not have a large impact on HAF capabilities, but they will delay programs for the future. HAF defense modernization program estimated in 2008 it was needed to purchase 45 advance training aircraft, 15 SAR helicopters and 40-60 modern fighters. Due to Greece’s current economic problems HAF is instead looking for the procurement of used F-16s and Mirages for a reasonable price, to counter the Turkish Air Force purchase of up to 100 F-35s 5th generation fighters over the next decade. In July 2016 the upgrade of the currently stored 6 Lockheed P-3B Orion's started, extending the lifetime of 4 airframes until at least 2025. In its early years, the Air Force was considered politically right-wing and royalist; indeed, it was known as the "Royal Hellenic Air Force". However, its officer corps proved to be the most politically left-wing of the Armed Forces. During the Greek Civil War, the officers of the Greek Army denounced their Air Force counterparts as "leftists" and "communists" and considered them disloyal and unreliable. During the Regime of the Colonels, the Air Force aided King Constantine in his failed countercoup of December 1967, and many leading Air Force Generals were tortured by the ESA men of Dimitrios Ioannidis. The only Air Force officer that had a significant role in the dictatorial regime was Antonis Skarmaliorakis. After Andreas Papandreou and his Panhellenic Socialist Movement (PASOK) party came to power in 1981, ending a long conservative dominance of Greek politics, the Air Force officers proved to be Papandreou's most enthusiastic allies in the Armed Forces. Andreas returned the favor, and in 1984, he made an Air Force General the Chief of the Hellenic National Defense General Staff, the first time someone from the Air Force rose to occupy that position. In 1997, it was estimated that more than half of the Air Force officer corps were PASOK supporters. The antagonism between Greece and Turkey has meant that balance in quantitative and qualitative terms has been of the goals of the HAF. HAF pilots have received significant training and HAF and TAF have often engaged in mock dogfights. Due to Greece’s current economic problems it is likely it will not procure additional advanced fighter jets. This may alter current balance of air power. 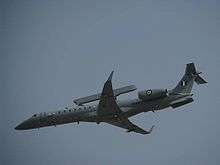 Due to the existence of the Joint Defence Doctrine between Greece and Cyprus is the defence of Cypriot air space, as Cyprus has no air force of its own. HAF aircraft have to be able to reach and stay long enough under combat conditions over Cyprus. The distance between the nearest base on the island of Crete to Cyprus is about 700 km. Besides this the Hellenic Air Force must have the ability to strike at all targets of the potential adversary at distances of more than 1,000 km from its bases. All this makes range one of the most important Hellenic Air Force needs. Due to political reasons HAF decided to operate two main fighter types (one US and other European), compared to other NATO air forces that operate one single fighter type. The Hellenic Air Force is overseen by the Hellenic Ministry of National Defence, whose head is minister Panagiotis Kammenos. More specifically, HAF is directly overseen by the Hellenic National Defence General Staff. the Air Training Command (Διοίκηση Αεροπορικής Εκπαίδευσης, ΔΑΕ), based in Tatoi (Dekelea). The Tactical Air Command includes eight Combat Wings and one Transport Wing. The Combat Wings have six fighter ground-attack squadrons. There are ten fighter squadrons, one regular reconnaissance squadron, and one marine reconnaissance squadron. Three transport squadrons and two helicopter squadrons form the organization of the air portion of the Tactical Air Command. The Air Training Command includes four training squadrons. The eight major HAF installations are located in Larisa, Nea Anchialos (west of Volos), Elefsis, west of Athens, Thessaloniki, Tanagra, north of Athens, Souda Bay, Araxos in the northern Peloponnese, and Andravida. 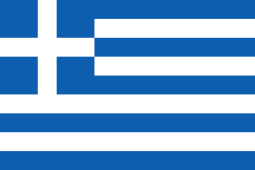 Other airports supporting military operations are located in the Aegean Islands of Karpathos, Santorini (Thira), Rhodes, Kos, Skyros, and Lemnos as well as in Kavala, Heraklion, Ritsona and Tatoi/Dekeleia, north of Athens. Combat operations are overseen by the Chief of Operations of the Supreme Air Force Council. Support services are managed by the Directorate of Aeronautical Support of the Air Force Support Command. The training squadrons and air force schools, like the "Icarus Air Force Academy" and the "School of Advanced War Training", run by the Training Directorate of the Air Force Training Command. Nowadays the Hellenic Air Force is very modernized and is considered the 12th best airforce in the world. Greece is also planning on buying a lot of 4th generation aircraft once it recovers from the current economic crisis. 1st Area Control Centre – Hortiatis, call sign "Topsy"
2nd Area Control Centre – Parnitha, call sign "Mambo"
3rd Area Control Centre – Ziros, call sign "Kronos"
According to Hellenic Ministry of National Defence the HAF operates a total of 440+ aircraft of all types. Following the retirement of the A-7 Corsair fleet, HAF currently operates 245 modern combat aircraft with 199 being fourth-generation fighters. Numbers in service are drawn from references  and are valid as of December 2015. 39 Inventory includes aircraft of Block 30/50/52+ and 52+ Advanced. HAF considers a Lockheed Martin proposal to upgrade, if not all, most of the fleet to the new "Viper" standard (F-16 V), while older Block 30 aircraft will be retrofitted to the new F-16 M6 variant. Ten older (10) Mirage 2000EG upgraded to Mirage 2000-5 Mk2 standard; fifteen (15) new Mirage 2000-5Mk2 purchased. 34 F-4E upgraded to Peace Icarus 2000 aircraft, AUP Avionics. 245 All types of combat aircraft. Embraer R-99 Brazil Airborne early warning (AEW) 4 The HAF designation is Erieye EMB-145H AEW&C. 10 Twelve (12) C-130H ordered in 1975 and follow-on order of five (5) C-130B in 1992. Two (2) C-130 have been lost. All aircraft have been through avionics modernization (AUP). Alenia C-27J Spartan Italy Tactical Transport C-27J 8 Twelve (12) initially ordered, eight (8) finally received. 26 Including three VIP transport of the Hellenic Republic. 20 T-6As used for training and T-6A NTA in the light attack role. 30 Ex-USN T-2C Buckeye purchased. 99 Including nineteen (19) T-41D Mescalero not mentioned in the inventory. Eurocopter AS332 Super Puma France SAR/CSAR/MEDEVAC Helicopter AS 332C1 Super Puma 12 4 Initial helicopters (S/N 2464, 2509, 2520, 2519) have been purchased for the Hellenic Coastguard Flight Service but later handed to H.A.F. for urgent SAR coverage needs and better operational exploitance. These helicopters have SAR configuration and are painted in dark grey/orange livery. The next 2 Helicopters (S/N 2574, 2575) have been acquired at 2004 in order to cover MEDEVAC missions during Athens 2004 Summer Olympics. 4 more helicopters have been ordered and purchased at 2007 (S/N 2584, 2589, 2618, 2620) in CSAR version with modifications to vital systems and extra operational equipment. The 2 last CSAR-capable helicopters (S/N 2780, 2787) have entered service with 384 SAR/CSAR Sq. at 2011, marking the final deliveries of the type to HAF inventory. Apart from the first 4 helicopters, all others are painted in "Aegean Ghost" camouflage colors. EAB Pegasus II Greece Reconnaissance (RUAV) E1-79 16  UAVs can carry a maximum payload weight of 50 kg. Greek air defences are oriented almost exclusively towards Turkey. Greece most probably operates the most dense air defense system infrastructure among NATO states. Turkey currently lacks long range system like the ones operated by Greece, but will soon purchase them. TOR M-1 and Skyguard-Aspide types owned by Cyprus are said by Turkey to be operated by Greek forces. Russian anti-aircraft missiles based originally in Crete were meant for Cyprus, but had to be relocated to Greek mainland due to international pressure. The camo extensively used by the Hellenic Air Force is the "Aegean Ghost" theme (Φάντασμα του Αιγαίου). The A-7 Corsair IIs used the South East Asia (SEA) camo known as "Vietnam" camo in Greece. C-130s after AUP program receive the USAFs "Grey" theme. RHAF Canadair Sabre 2 in 1955. A Hellenic Air Force f-104 Starfighter (Tanagra Military Airport). F-16C Block 52 in Tanagra Air Base. A Hellenic Air Force Dassault Mirage F1CG displayed at the 2008 HAF air show, Tanagra airbase, Greece. A Greek F-4 Phantom leaves Aviano Air Base. C-130H Hercules tactical transport aircraft of 356 squadron. CL-415 water bomber of 383 squadron. T-2E Buckeye jet trainer of 120 Wing. A Mirage 2000BGM of the Hellenic Air Force immediately after take off. An F-16D Block 30 of the 346 Squadron "Jason". A Hellenic Air Force F-4E PI2000. SAR AB-205A of the 358 Squadron "Phaethon". C-27J Spartan of the 354 Squadron "Pegasus". HAF operates 8 of those aircraft. EMB-145H of the 380 AEW&C Squadron during Tanagra Air Show. ↑ "Hellenic Air Force/History". Haf.gr. Retrieved July 29, 2009. ↑ Piekalkiewicz, Janusz; Van Heurck, Jan (1985). The air war, 1939-1945. Blandford Press. ISBN 978-0-918678-05-8. 1 2 "Hellenic Air Force History – Greco-Italian War ... German Invasion;—". www.haf.gr. Retrieved February 6, 2010. ↑ Carr, John (2012). On Spartan Wings. Barnsley, SY, Pens & Sword Military. p. 45. ISBN 978-1-84884-798-9. ↑ Carr, John (2012). On Spartan Wings. Barnsley, SY, Pens & Sword Military. p. 171. ISBN 978-1-84884-798-9. ↑ "Hellenic Air Force History – Middle East;—". www.haf.gr. Retrieved February 6, 2010. ↑ "335 Μοίρα Βομβαρδισμού;—". www.haf.gr. Retrieved February 12, 2010. ↑ "330 Μοίρα;—". www.haf.gr. Retrieved February 7, 2010. ↑ "346 Μοίρα;—". www.haf.gr. Retrieved February 7, 2010. ↑ "338 Μοίρα Δίωξης – Βομβαρδισμού;". Haf.gr. Retrieved July 29, 2009. ↑ "AeroWorldNet(tm) – Greece Buys 50 F-16s and 15 Mirage 2000s [May 3, 1999]". AeroWorldNet. May 3, 1999. Retrieved August 7, 2009. ↑ "Hellenic Air Force Weapons — F-16C/D Block 52+ FIGHTING FALCON". Haf.gr. Retrieved July 29, 2009. ↑ "340 Μοίρα;". Haf.gr. Retrieved February 9, 2010. ↑ "Παραλαβή νέων F-16 Block 52+ Advanced;". anaxfiles.blogspot.com. March 19, 2009. Retrieved September 6, 2011. ↑ "DefenceNet — Στην αφετηρία - και πάλι - για το πρόγραμμα του Νέου Μαχητικού Αεροσκάφους 6 υποψηφιότητες (βίντεο)". Defencenet.gr. Retrieved February 6, 2011. ↑ "HAF organization". Koti.welho.com. Retrieved July 29, 2009. ↑ "Hellenic Tactical Air Force". Haf.gr. Retrieved July 29, 2009. ↑ "Hellenic Air Force — Air Support Command". Haf.gr. Retrieved July 29, 2009. ↑ "Hellenic Air Force — Air Training Command". Haf.gr. July 30, 1955. Retrieved July 29, 2009. ↑ "Αναβάθμιση μαχητικών της ΠΑ για ισορροπία ισχύος στο Αιγαίο". e-amyna. Retrieved 20 July 2016. ↑ "ΑΜΥΝΑ & ΔΙΠΛΩΜΑΤΙΑ 14. Όπλα & συστήματα μαχητικών αεροσκαφών". Amynanet.gr. Retrieved July 29, 2009.